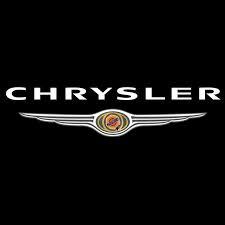 Earlier today, Fiat-Chrysler announced that they will be recalling 288,000 Dodge Ram pickups in the United States due to a loose nut that may cause the rear axle to seize. A probe led by the NHTSA also found that the driveshaft in these trucks could detach without any warning, possibly causing an accident. Impacted by this recall are all Dodge 1500 pickup trucks built from January 2004 through August 2005. The initial investigation into the malfunction originally occurred when the NHTSA received 15 different reports of rear-axle lock-up or driveshaft detachment from the rear differential caused by loose pinion nuts. In one of these complaints, it was said that the driver and his two children “almost died as a result of the powertrain failure” of his 2005 Dodge Ram 1500 back in 2013. According to the complaint, the driver was on a highway near Elkhart, Indiana when he heard a loud bang while travelling about 70 miles per hour. According to the driver, the rear pinion nut came loose, causing the rear end to lock up “and throwing the drive shaft completely off my vehicle with no warning” in heavy traffic. This latest recall is expected to begin February 13th. Until that time, good luck! And hold on to your hats; you ride might get a little rough. This entry was posted in Chrysler, Culture and tagged 000, 1500, 288, Chrysler, dodge ram, dodge ram 1500, Fiat, loose nut that may cause the rear axle to seize, recall. Bookmark the permalink.